Add color and seating to your kitchen or dining space with the Blake Stool. Crafted from sturdy the stool features bottom footrails for added stability and durability. 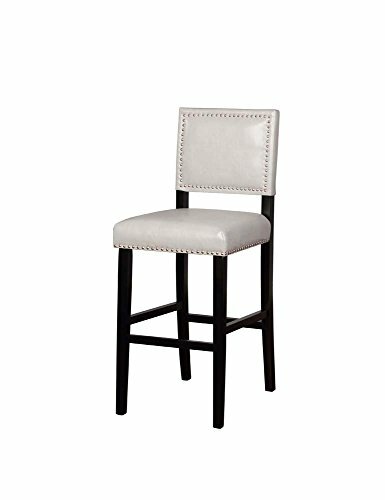 The black finish is accented by a Dove Gray upholstered seat and back. Shiny silver nailheads add extra interest. Bar Height.